Welcome to the Meeting and Event Planning Guide to San Francisco - a city guide for meeting professionals. 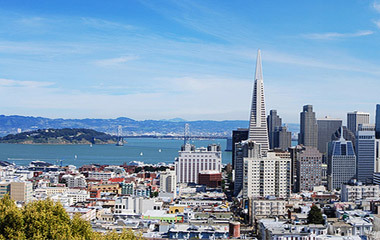 With its mild, spring-like climate, stunning cityscape that includes 7.5 miles of waterfront, and landmark attractions, San Francisco is a popular destination for business and leisure travelers alike. 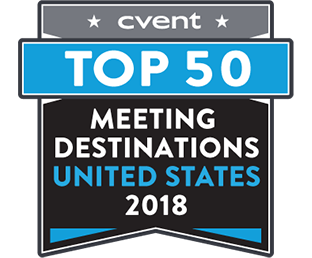 In fact, its total number of annual visitors and convention participants regularly tops 16 million people, and it ranks among the top 10 North American destinations for conventions and conferences. 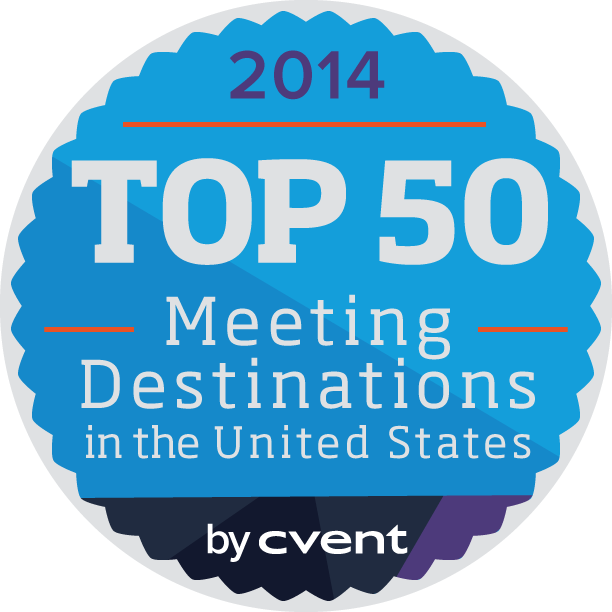 Trendy and popular, meeting and event planning in San Francisco has a lot to offer to planners to ensure the success of their meetings, events and conferences. 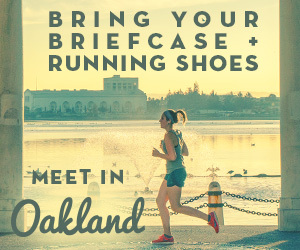 Travelers can easily reach the city via plane at San Francisco International Airport or nearby Oakland International Airport. Once in the city, guests can travel from one site to the next thanks to the affordable, 103-mile Bay Area Rapid Transit (BART) system. The iconic San Francisco cable cars also take guests to destinations such as Fisherman's Wharf, PIER 39, and Aquatic Park. San Francisco's public transportation network also provides easy access to the Moscone Center, San Francisco's premier facility for meetings and conventions. Comprised of North and South and West halls, the Moscone Center encompasses over two million square feet of space, including more than 700,000 square feet of exhibit space and 106 meeting rooms. The North and South Moscone can provide up to 442,000 of exhibit space, while its Gateway Ballroom can host up to 1,300 people for banquets and receptions. 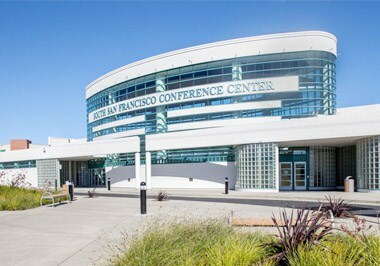 West Moscone's three floors of space can accommodate nearly 300,000 square feet of exhibit space total, in addition to ballroom and lobby function areas, which makes it an excellent option for San Francisco event planning. 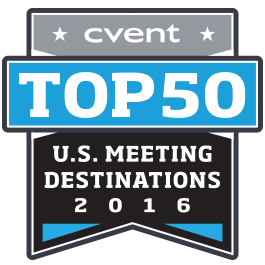 Aside from its versatile spaces, the Moscone Center boasts an ideal location in the heart of downtown and within walking distance of multiple San Francisco meeting hotels and more than 20,000 hotel rooms. 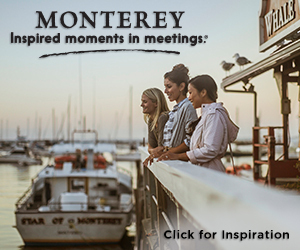 Overall, for meeting planning San Francisco, the city has more than 33,000 hotel rooms at properties that offer nearly one million square feet of meeting space. In addition to well-appointed overnight accommodations, planners can host receptions, post-event cocktail hours, meetings and more at hotels such as the Hilton San Francisco Union Square, San Francisco Marriott Marquis, InterContinental, Westin St. Francis, Wyndham Parc 55, Grand Hyatt, and Hyatt Regency San Francisco. 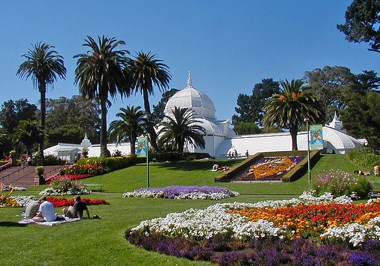 Outside of traditional space, San Francisco is home to an impressive array of captivating and memorable attractions that double as unique event locales. The Asian Art Museum, Legion of Honor and de Young all offer stunning settings for everything from an intimate dinner for 10 to a reception for 2,500. Captivate attendees by hosting a reception or gala for up to 550 people among the jellies, octopus, sharks and other aquatic life inhabiting the Aquarium of the Bay. 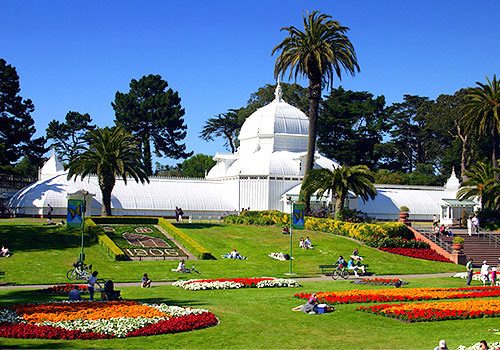 In Golden Gate Park the popular Conservatory of Flowers offers five exhibit spaces marked by exotic plants and flowers, and stunning architecture. The nearby California Academy of Sciences combines an aquarium, planetarium, natural history museum, and world-class research facility all under one, living, green roof. In San Francisco, it’s easy to go green when it comes to meetings. The city has been making tremendous strides to be an eco-friendly destination and has pioneered a number of sustainable practices. 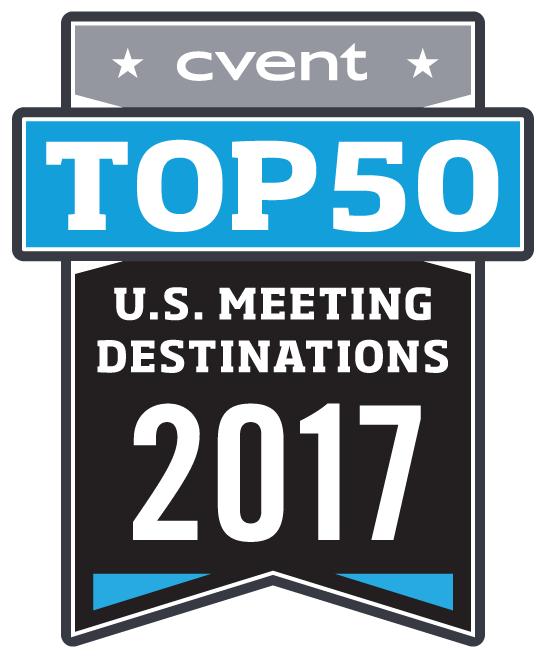 It regularly earns a spot on green city lists such as Meeting Strategies Best Places to MeetGreen Scorecard, SustainLane's U.S. City Rankings on sustainability, and Popular Science's 50 Green Cities in America. It currently has an 80 percent diversion rate, with a goal of zero waste by 2020. 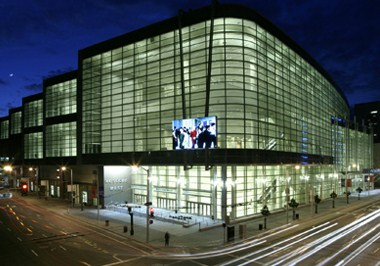 In addition to a number of hotel and restaurant facilities doing their part to implement green initiatives, San Francisco event planning gives alternative choices to planners to suit their needs, like the Moscone Center, which is leading the way with the largest city-owned solar installation in the country on its roof. A principal banking and finance center on the West Coast in the early 20th century, San Francisco is now home to numerous financial institutions and multinational banks, as well as six Fortune 500 companies. Among the largest 25 public Bay Area companies are Chevron Corp., Hewlett-Packard Co., McKesson Corp., Apple, Inc., Intel Corp., Wells Fargo Bank, Safeway, Inc., and Cisco Systems. 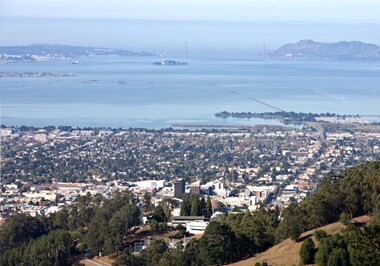 The city is also home to the University of California, San Francisco, which operates the top-ranked UCSF Medical Centers. The University of San Francisco, San Francisco State University, Golden Gate University, City College of San Francisco, and Academy of Art University are among the other educational institutions based in the city. Enchanted by its aesthetic beauty, cultural attractions, diverse communities and outstanding cuisine, thousands leave their hearts in San Francisco every year. 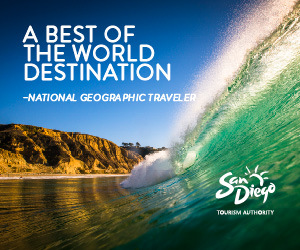 Located about 400 miles North of Los Angeles, the city has ranked amongst the top travel and meeting destinations in the world. Although only 837,000 people live within the city's limits, it is the 2nd most densely populated city in the U.S. with more billionaires than almost any other city in the world. 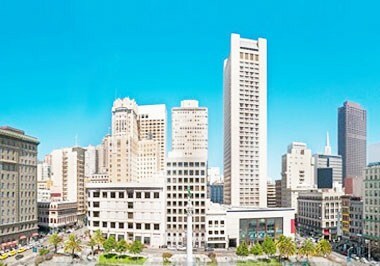 San Francisco, often referred to as "Everybody's Favorite City," is rich with over 150 years of history. 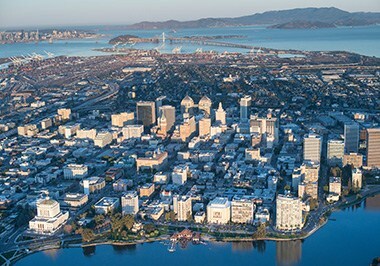 The city has been shaped and molded by events like the California Gold Rush and the 1906 earthquake and fire that devastated much of the city. Surrounded by water on three sides with the Pacific to the west, the San Francisco Bay to the east, and the Golden Gate to the north, San Francisco's romantic setting allures over 16 million visitors each year. 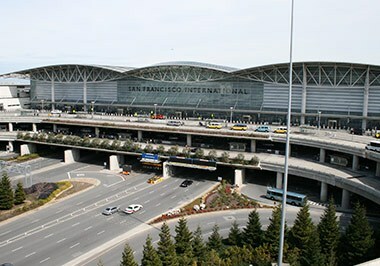 San Francisco is also surrounded by 14 small islands including the infamous island of Alcatraz. 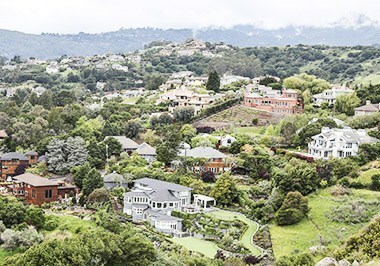 Characterized by landmarks like the Golden Gate Bridge, colorful Victorian row houses, and cable cars, the city spans over some 50 hills, making the Bay Area the largest inlet on the California coast. It is also the headquarters for six Fortune 500 companies including McKesson, Wells Fargo, Gap, PG&E, Charles Schwab and URS. 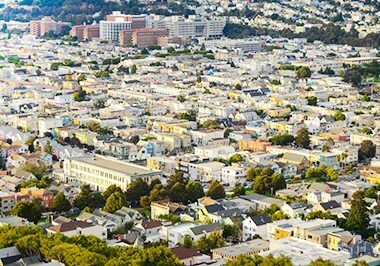 The San Francisco area features the tallest redwood trees in the world, the longest suspension bridge in the world, the crookedest street in the United States, as well as a federal penitentiary that was off-limits to the public until 1973. 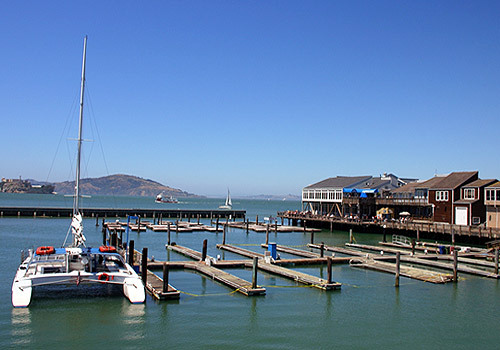 Other attractions include the Yerba Buena Center for the Arts and the Yerba Buena Gardens, the San Francisco Museum of Modern Art (SFMOMA), the Exploratorium, the Aquarium of the Bay at Pier 39, the Museum of Contemporary Arts (MOCA), and many more. The city also hosts several smaller art galleries that showcase the works of up-and-coming area artists. The three largest art districts are found at 49 Geary Street, the South Market District, and the Mission District. In addition to its fine art and intriguing history, San Francisco provides a haven for outdoor enthusiasts with several nearby beaches and parks. 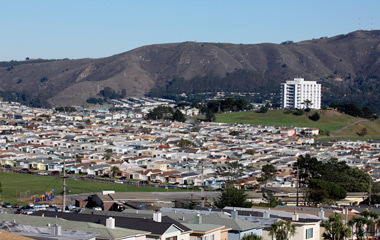 Ocean Beach and Stinson Beach are two of the most popular sandy destinations. After a leisurely waterside picnic or bike ride through the Presidio, unwind by shopping in one of San Francisco's many shopping districts like Chinatown, Ghirardelli Square, Union Square, Chestnut Street, Fillmore Street or Haight Street. For a night on the town, check out popular music clubs and venues like Mezzanine, the Swedish American Hall, and Studio Z or try hip bars like Vital Tealeaf, G Bar, and Club Six. To grab a bite to eat, take a trip down to famous Fisherman's Wharf to select from numerous delicious fresh seafood restaurants. San Francisco is a city with a unique and colorful culture, opening a door to a world full of adventure and opportunity.